Build an Arduino-controlled kitchen timer and learn how to interface your Arduino with LCDs and buttons along the way. In this post, we will be learning how to create an Arduino-controlled kitchen timer. This project will help you manage desired baking times and avoid overcooking dishes. You can conveniently set a time limit for your dish to cook and step away until you hear the beeping timer go off. We will be using an Arduino LCD Keypad Shield for this project. We start by wiring the small buzzer that will get the device up and running, it shouldn’t take more than a few minutes; on account of the shield’s input and output capabilities through its button interface and LCD respectively. Note that you can adapt the module and code in this project for any other experiments requiring a user interface. For this specific build, we’ll be following the flow you’ll find listed below. 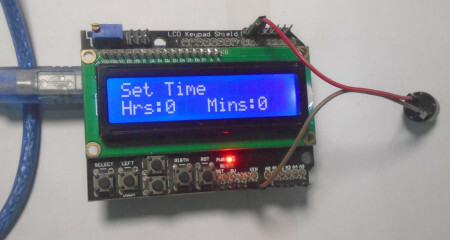 After powering on, the device will display an “Arduino Kitchen Timer” message for 3 seconds. The timer will then prompt you to set the time. You can move the cursor to minutes and hours by pressing the right and left keys. You can adjust the minutes and hours settings with the up and down arrow keys. Once the desired time is set, press the select button and the timer will start. If you want to set the time again, press the select button a second time. Once the time is completed, the buzzer will beep. To stop the buzzer, press the reset button on the Keypad Shield. First, align and place the LCD Keypad Shield directly onto the Arduino. Then connect the positive side of the buzzer to pin 12 on the Arduino and the negative side of the buzzer to the ground. Copy and upload the code below into Arduino IDE. Each section of the code has an accompanying explanation to help you understand it’s function. // This function will count the time and will beep the buzzer when the time will be up. Creating a Kitchen Timer is Only the Beginning! You have created your own kitchen timer! 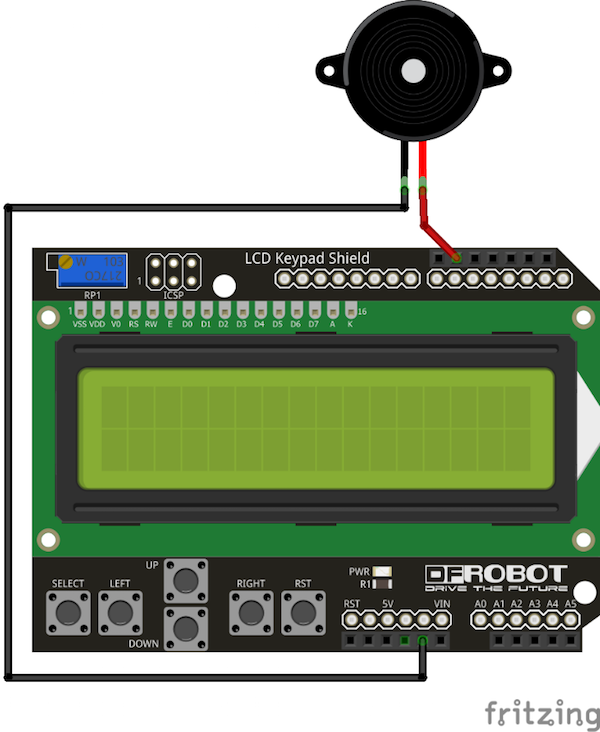 The best part of this project is the ability to adapt this module to build other projects that require a simple interface between an LCD and a button or buzzer. You can also design custom 3D-printed enclosures for the module and make it your own.